A South Korean court ruled on Thursday that the government and the operator of the Sewol ferry, which sank in 2014 killing 304 people mostly school children, must compensate the victims' families. 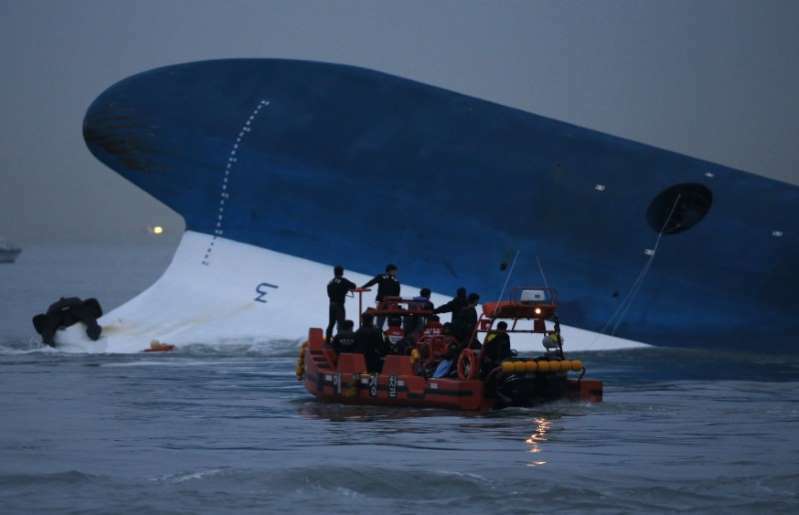 The ferry was structurally unsound, overloaded and travelling too fast on a turn when it capsized off the southwest coast on April 16, 2014, South Korean investigators said, placing the nation in deep grief for months. [post_ads]A group of 354 members of the bereaved families of 118 students filed a lawsuit in 2015 against the government and the ferry operator, Chonghaejin Marine. The Seoul Central District Court ordered each family be provided 200 million won ($177,000) per victim, and additional compensation of between 5 million won and 80 million won per family member. It was the first time the court acknowledged the state's liability for the disaster. Chonghaejin Marine overloaded the Sewol and its crew abandoned the stricken ferry after instructing passengers to remain in their cabins, a court document said. The Coast Guard also failed for its part to maintain control over the ship, the document said. "The victims died while waiting for rescue within the ship, without knowing about the detailed situation," said Judge Lee Sang-hyun in the document. "But after more than four years until now, the dispute is still ongoing over who is responsible for the sinking and compensation."